Sam Inkson is a cheeky 18 year old comedian from Liverpool. He decided he wanted to be a comedian from the age of 14 and at the age of 15 was crowned "Liverpools Young Comedian Of The Year 2008". Since then he performed countless gigs across Liverpool delighting audiences where ever he goes and working with names such as Sam Avery, Lennie Anderson, Pauline Daniels, Ricky Tomlinson and Micky Finn along the way. In 2010 Sam had a great year to start the year he won "Radio City Liverpool`s All Stars Talent Competition" for the comedy section and was asked to perfrom in a show case of talent hosted by Neil Fitzmaurice, Neil was so impressed with Sam he later asked him to help out on his radio show on Radio City 96.7 . Also In 2010 Sam was asked to perform at the "Best Of Liverpool" as part of the "Liverpool Comedy Festival" and he performed along side some of the citys greats and impressed them all . 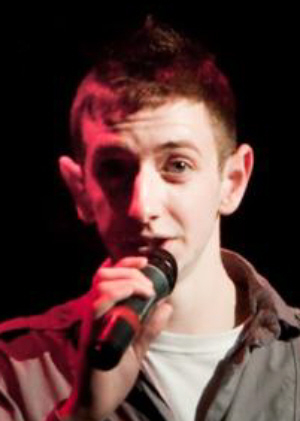 Sam is establishing himself as one of Liverpools best young comics and comperes.